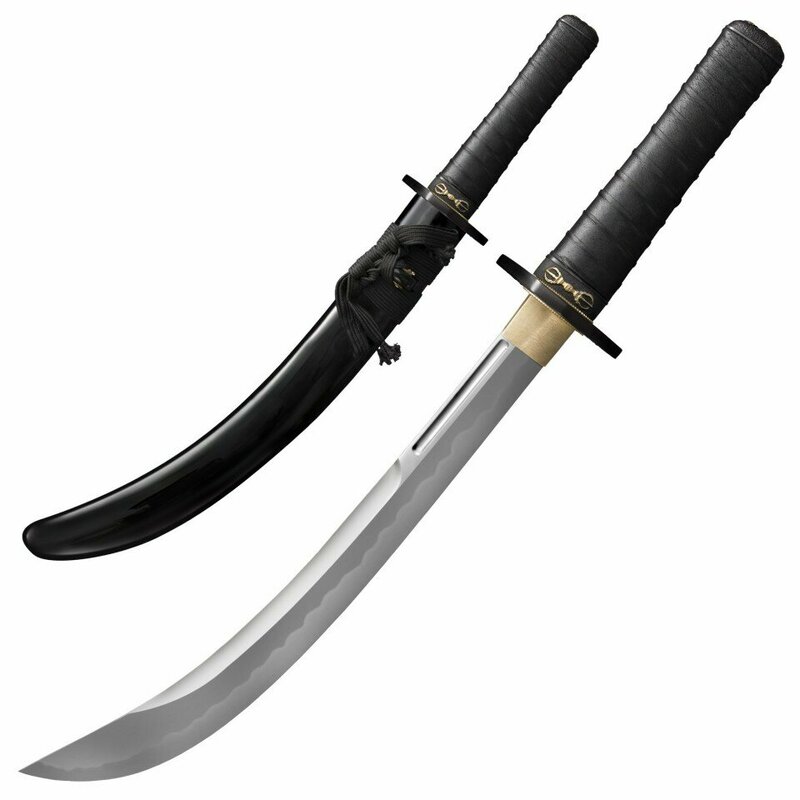 Sword Cold Steel Seagal Signature Wakizashi Sword(88PKW) Cold Steel katanas, ideal for cutting(tameshigiri). Martial Artist who needs no introduction. He found international acclaim for his high-octane Action Movies, but his first and foremost love is the world of Martial Arts. With an encyclopedic knowledge of the Japanese warrior arts, a wealth of experience with the Katana, a 7th Dan Black Belt in the art of Aikido and a lifetime of training, he is still a much-in-demand instructor and consultant. Whether working specialist techniques with Mixed Martial Artists or traveling the world teaching seminars, there is no doubt that Steven is still a force to be reckoned with! This unusual Wakizashi blade is almost an exact reproduction of an extremely rare antique original from the collection of Mr. Steven Seagal. Its wide, curved and wickedly keen 15” Naginata-style blade is made from Damascus steel - Hamaguri ground and highly polished with a clay tempered Hamon and pronounced “false edge” – with a very distinctive weight forward balance giving it amazing cutting potential! The Tsuba, Fuchi and Kashira all feature a distinctive Vajra motif – symbolizing diamond like strength, the force of a thunderbolt, and spiritual enlightenment. This Wakizashi also features a handle that’s tightly wrapped in black leather (rather than the more traditional samé and silk) adding to its truly unique appearance.